L'Intrus(=intruder in English) is a adventure of Chantereves that producing wine in Savigny les Beaune using grapes from other region. This new concept is being actualized by their sophisticated skills of vigneron with a free mind. Made from Cotes du Rhone Syrah, vinified and bottled in Savigny les beaune. Whole bunch, fermented by indigenous yeasts. No SO2 added at all. No fining, No filtration. 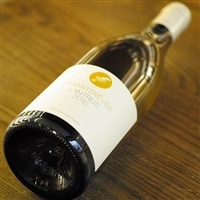 L'Intrus(=intruder in English) is a adventure of Chantereves that producing wine in Savigny les Beaune using grapes from other region. This new concept is being actualized by their sophisticated skills of vigneron with a free mind. Made from Cotes du Rhone Syrah, vinified and bottled in Savigny les beaune. Whole bunch, fermented by indigenous yeasts. No SO2 added at all. No fining, No filtration. L'Intrus(=intruder in English) is a adventure of Chantereves that producing wine in Savigny les Beaune using grapes from other region. This new concept is being actualized by their sophisticated skills of vigneron with a free mind. Made from Mosel Riesling, vinified and bottled in Savigny les beaune. Whole bunch, fermented by indigenous yeasts. No SO2 added during vinification. Sur Lie. The Bourgogne Rouge 2015 is a lovely expressive wine build on the best qualities of the rich 2015 vintage. The nose is very outgoing with variations of red fruit, hints of cinnamon and allspice – the 100% whole cluster vinification really suits this vintage. On the palate pure fruit, very fine mid-palate weight for this level. Highly recommended .. it just drink so well. (Steen Ohman / Winehog) The Bourgogne Blanc 2015 is a delicious wine offering a lovely balance, pure and charming exotic youthful fruit. This is rich but still very balanced with its charming playful fruit … the quality of the grapes here are excellent .. hence the purity even in this ripe and rich year. It is a contrast to the 2014 but a very charming and enjoyable wine offering the needed freshness and balance. In some sense this is more hedonistic. (Steen Ohman / Winehog) Chardonnay from Lieu-Dit "les Chaumes" / Well balanced, offering plenty of hedonistic enjoyment. Burgundy authenticity. No gimmick, no makeup. Pure Chardonnay is there. The wine got much more richness after ageing. You can find rare Meursault as well(we haven’t seen this label since this 2013 vintage) - The name of Lieux-Dits is not mentioned on the label, but actually this Meursault is from Les Crotots since 2010 vintage. Just below 1 er cru Les Pruzots. This creamy and buttery flavour is coming from original Terroir of Meursault, not from new oak or yeast. Pommard is Tomoko's favorite terroir. She said "Pommard has diversity and depth. As a wine-maker, I really want to close in on this terroir". - Indeed, it is interesting to drink Volnay and Pommard side by side. The wine from Chantereves expresses character of terroir straightly, so their wines are good example to know essence of AOC in burgundy. Tomoko says "intervention was successfully minimized in 2013". Indeed, 2013 possesses superb purity and vitality. Besides, 2013 might be a turning point for Chantereves. If anything, Chantereves was recognized as a white wine producer. But in 2013 they could also established the position as a Red wine producer. See this Volnay.